The Great Escape is BACK. We’ll be keeping our ear to the ground for you so you don’t miss out on any fun. If you’re out and about in the city during TGE, bookmark this post for updates each day on things you won’t want to miss! 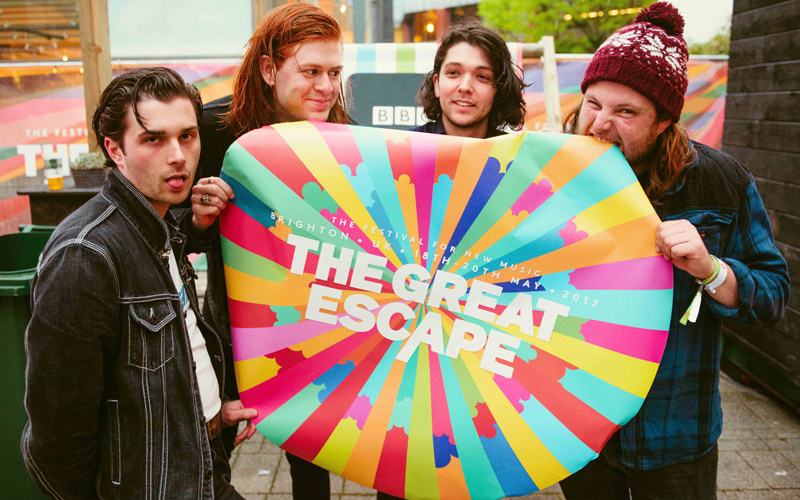 Also on Jubilee Street, My Brighton is hosting a launch party to welcome The Great Escape to the city tonight (Thursday). Get down to Merkaba (the bar in the My Brighton hotel) for a secret gig with Brighton-based band Normanton Street from 8.30-10.00pm. It’s open to everyone, so you don’t need a festival ticket to enjoy a free evening of their hip hop and soul fusion, but we’d advise heading there early to avoid disappointment. Take advantage of their two for £12 cocktails and bottles of prosecco for just £20, too. We like the sound of this! 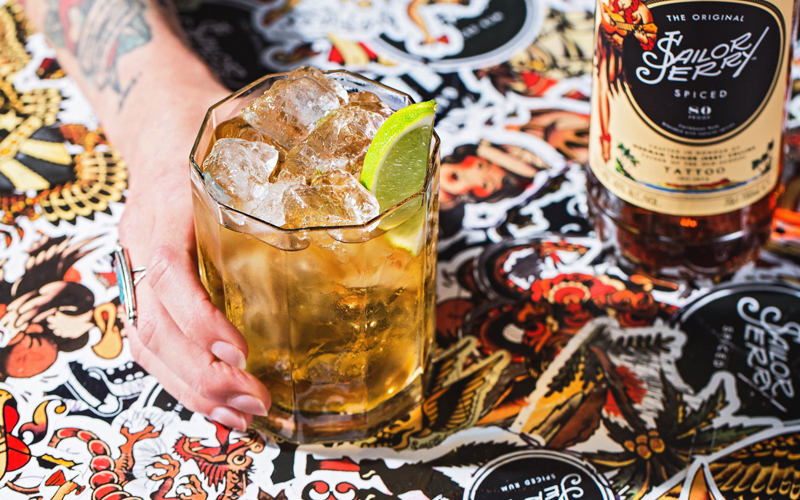 Get into the festival spirit by heading down to Jubilee Street and making a beeline for the Sailor Jerry’s Amp Bar. They’re pitched up just outside the My Brighton hotel, so head their way and get yourself warmed up with a Jerry Loves Ginger cocktail while top up-and-coming acts, including Hockey Dad, Ms Banks and Xavier Darcy, plug in and play over the next few days. One of our favourite Alternative Great Escape party places in the city is the Fiddler’s Elbow. Over two days of the festival, they have a fab line-up of 30 acts and an impressive street party to match. If you don’t have a TGE ticket, then this is the place to head to. With an outdoor bar and glitter station (YEOW), you won’t need to go anywhere else. On Thursday night, we headed to the Paganini Ballroom, a hidden beauty in The Old Ship Hotel. With chandeliers hanging from the ceiling and grand drapes over the stage, it’s a royal room fit for a (music) king like Skinny Pelembe. Described as ‘hazy afro-tipped soul with psychedelic tangents’, it had everyone in the room bopping along with a smile on their face. An impressive team of young musicians, we were particularly mesmerised by their bassist, who showed the industry a thing or two as she effortlessly strummed to perfection. One to catch as they play their final gig of the festival on Saturday at Komedia.